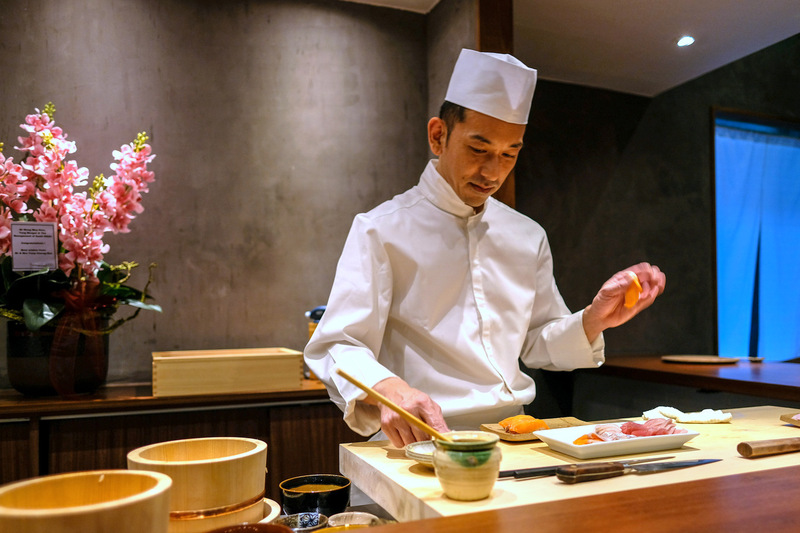 Some chefs wait a lifetime, for a moment like this: Sushi maestro Makoto 'Sam' Saito has spent over two decades honing his craft, from his home city of Tokyo through stints that have spanned Sydney to Rome, Tel Aviv to Kuala Lumpur. 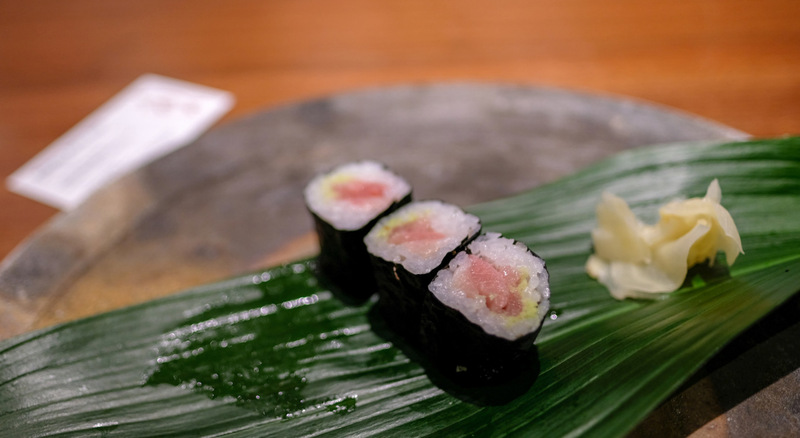 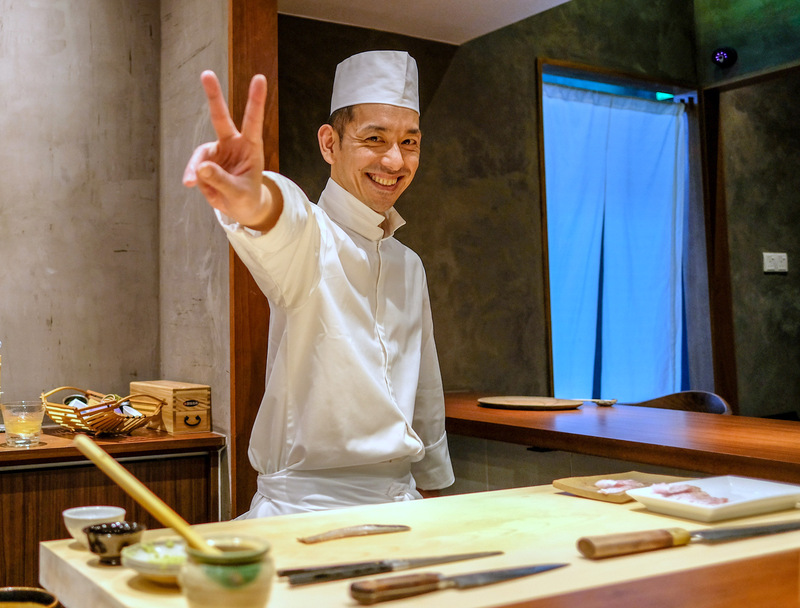 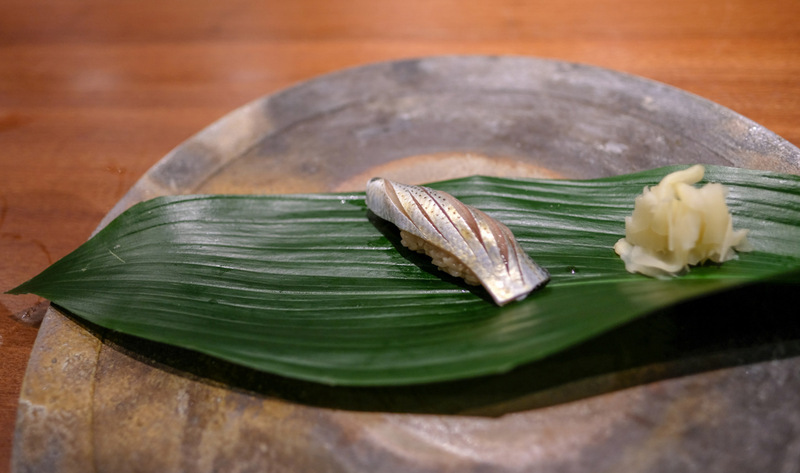 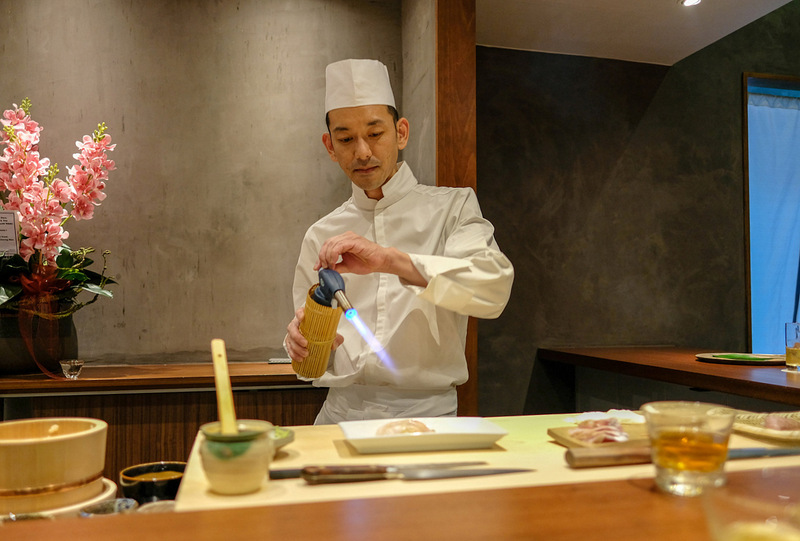 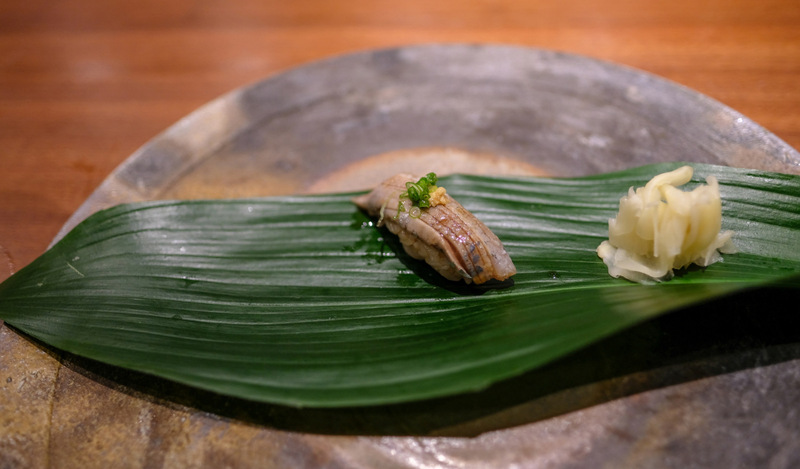 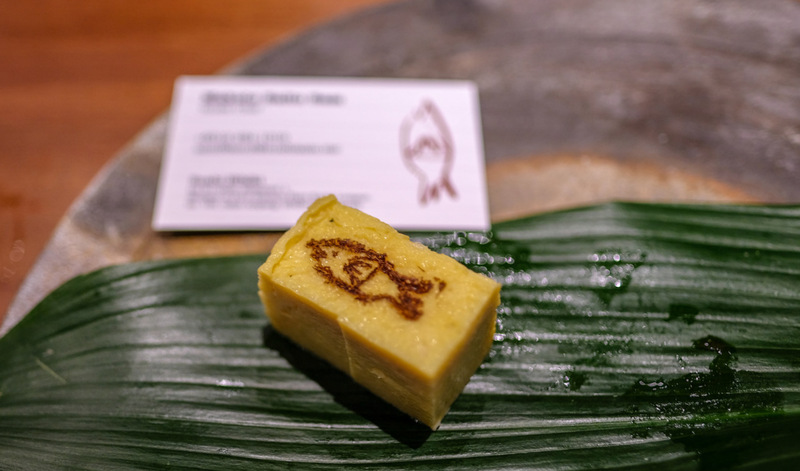 This month, he finally opens up his own sushi bar in Malaysia, Hibiki (Japanese for echo), which resonated with laughter and excitement on a recent weeknight. 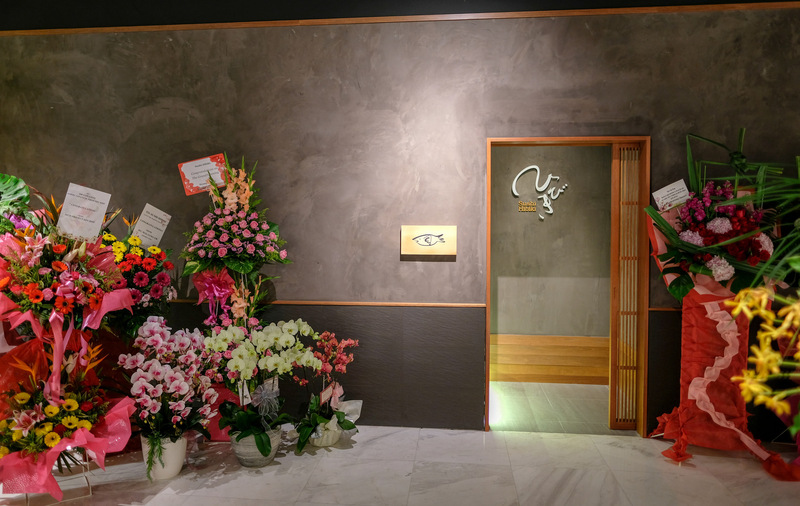 It might be tucked inside a shopping mall, but it's a relaxed, intimate space with a cosy charm. 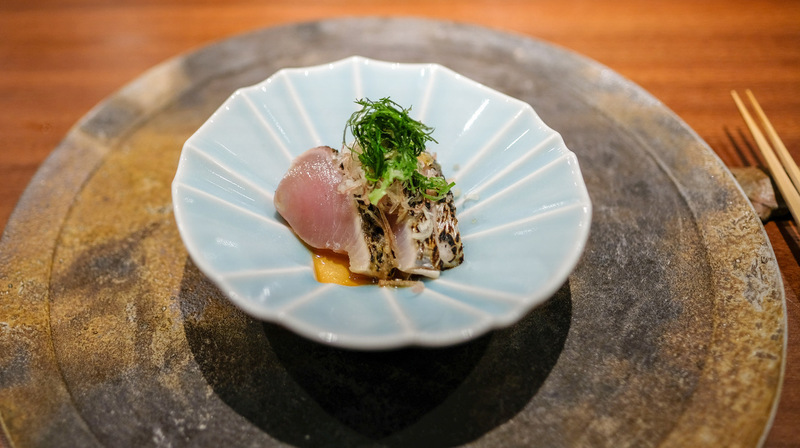 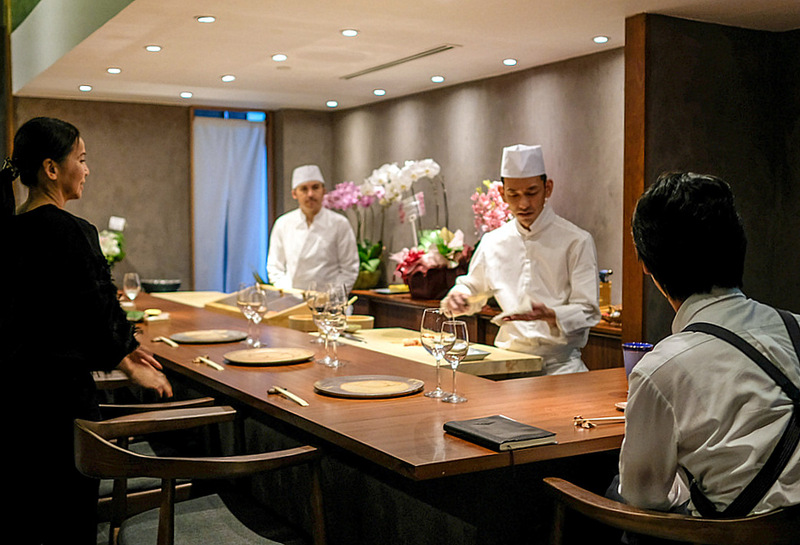 Hibiki's elegant attention to detail extends to every facet of the experience here, from the food to the tableware, so it's worth going all out for the restaurant's most comprehensive omakase feast at RM480 per person. 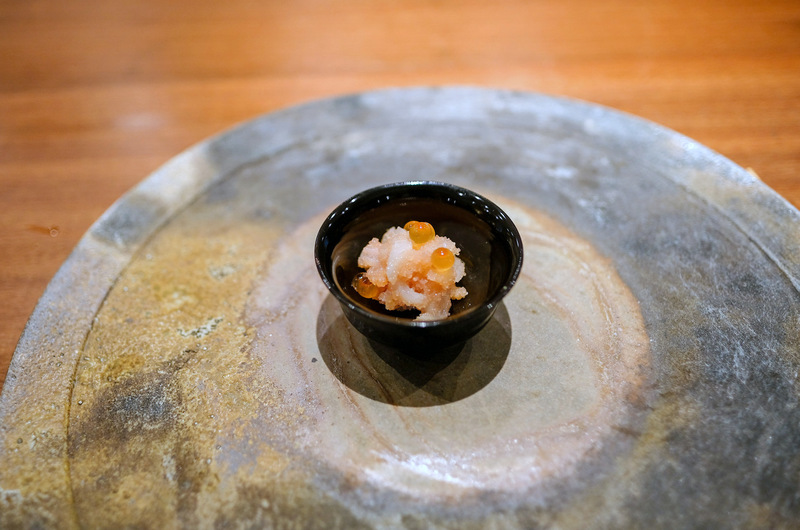 You'll start with a choice of sparkling wine or cold-brewed Shizuoka-cultivated green tea, each sip of the latter flowing with natural nuances, followed by a selection of seasonal specialities, perhaps some baby scallops with a briny bite, edamame freshly harvested this month, tofu sweetened with corn, and tomatoes that burst with a smooth, sweet lusciousness. 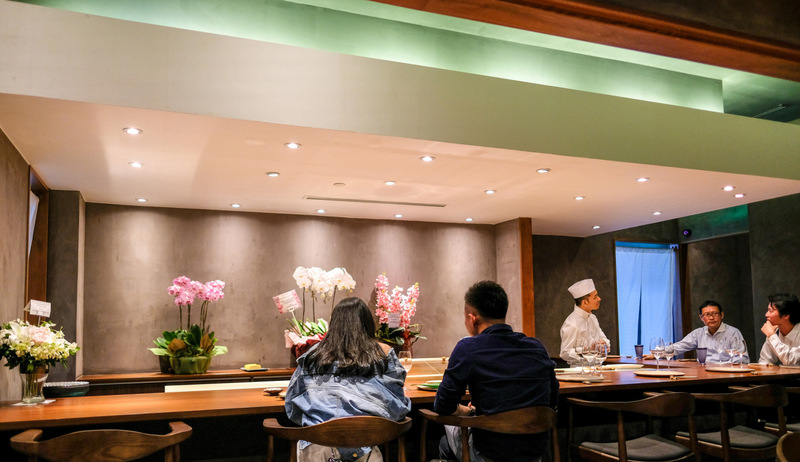 Subsequent seafood courses display delicately captivating flavours, consistently well-balanced with sprightly accompaniments from the land. 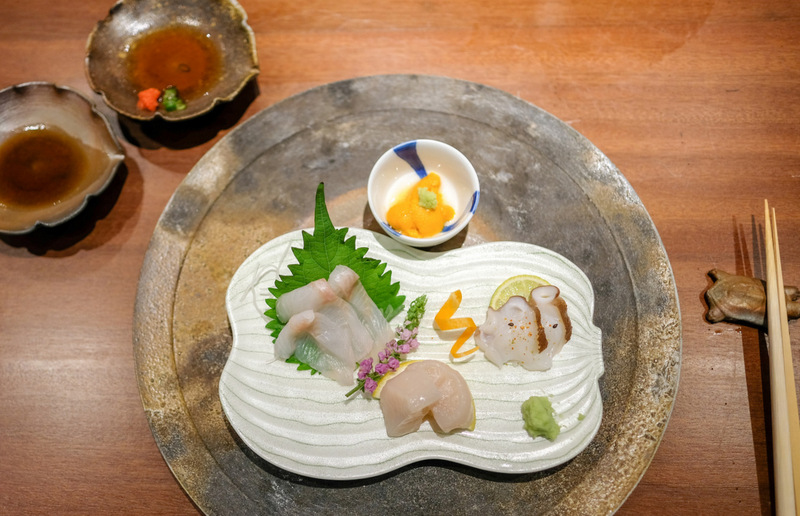 Our sashimi plate comprised what the chef called 'the king of whitefish,' alongside slices of scallops and octopus, with sea urchin as a compellingly lovely bonus, representing a range of textures to relish. 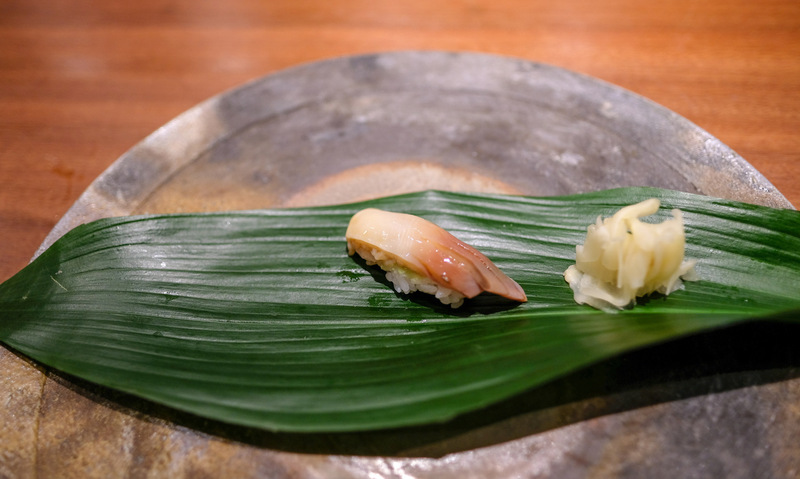 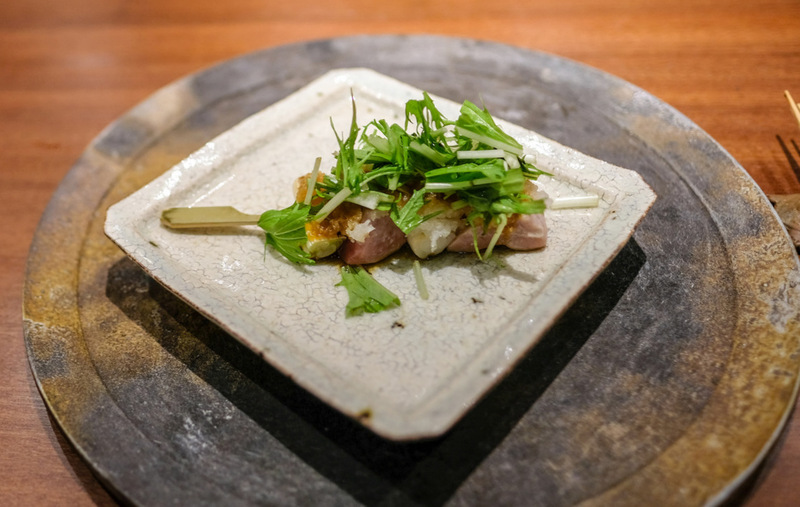 We also liked the tuna 'satay,' a tender, fleshy skewer with the crunch of leeks; the bonito with ponzu sauce and spring onions; and the squid coated in two kinds of roe. 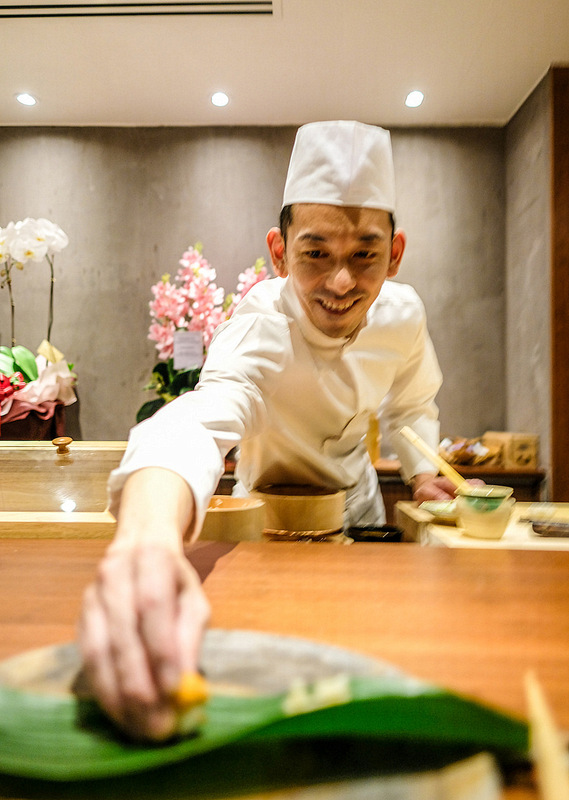 The affable chef exudes an exuberant joy in presenting each serving, and that enthusiasm is infectious. 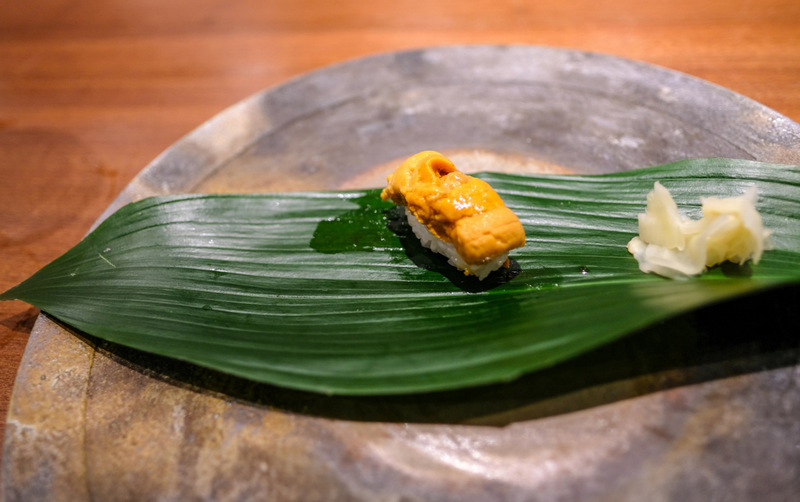 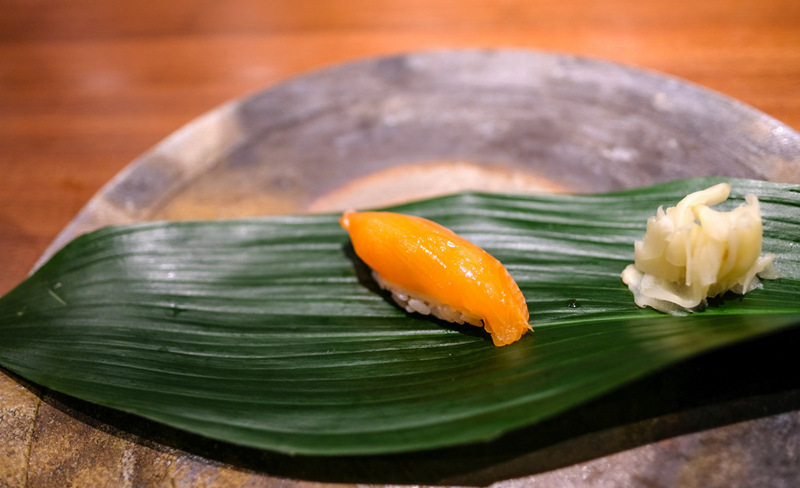 A series of sushi comes next, entirely handcrafted by the chef, who makes the effort to ensure that even the salmon is not of the norm, sourced instead from the wild in Hokkaido. 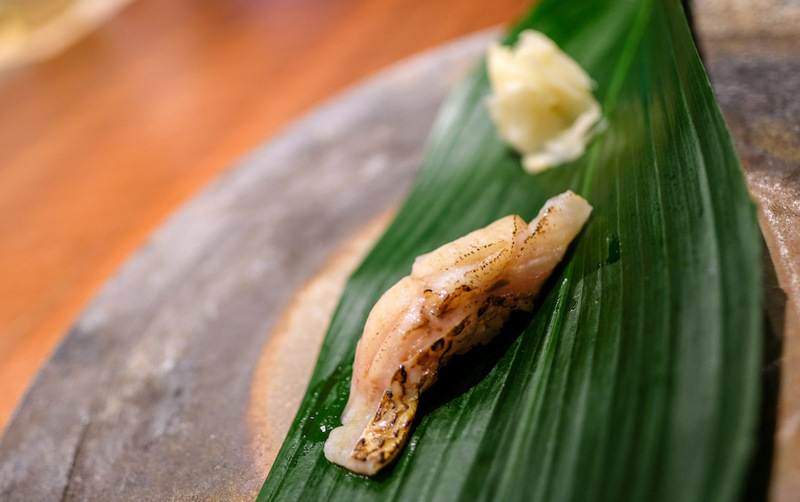 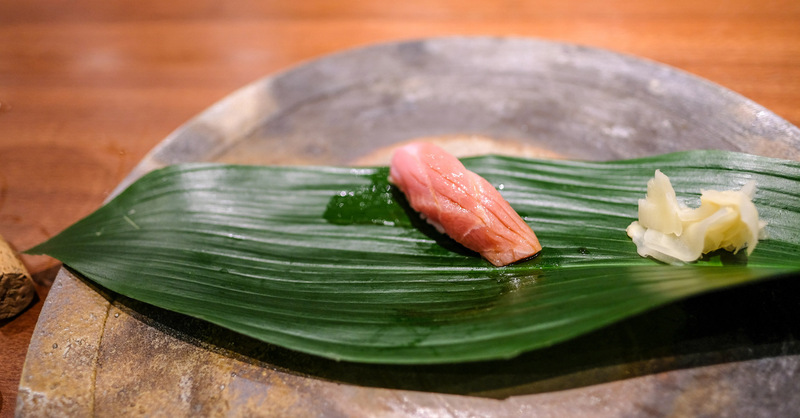 From chutoro to kohada, rosy sea bass to golden eye snapper, it's a parade of pleasures at their prime. 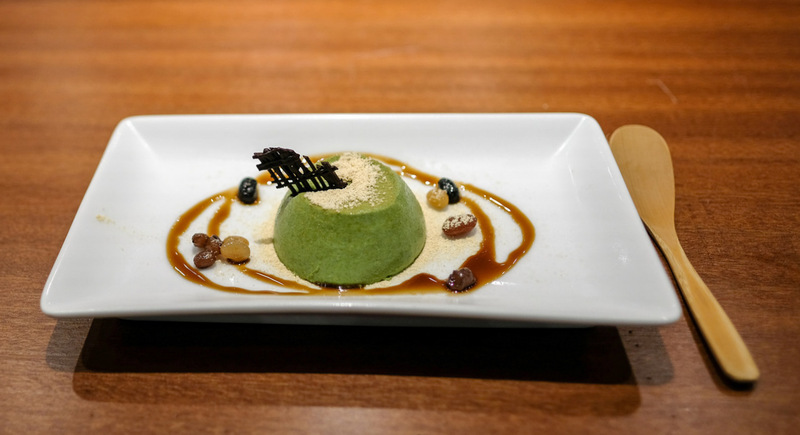 To cap off the sumptuous feast, an elegantly elaborate matcha panna cotta conceived by KL-based pastry chef Shigeru Hashizume of Suria KLCC's Le Geci Pastries for Hibiki ensured that we concluded on a delicious note. 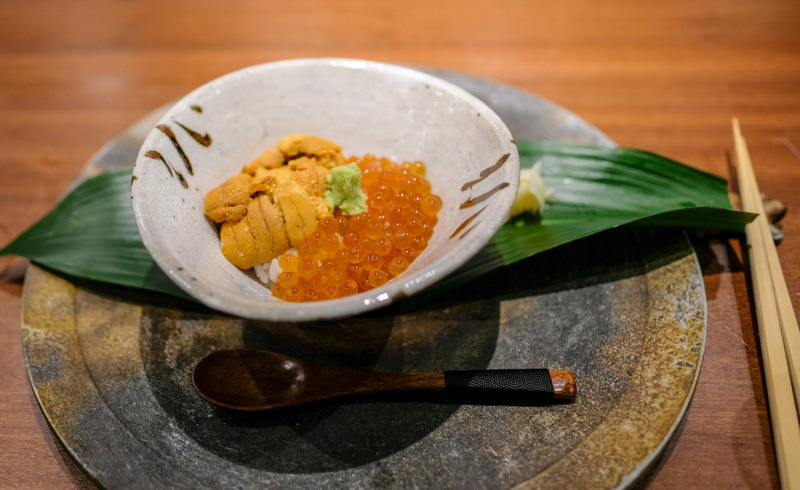 If the occasion befits a splurge, you can go off-menu for a rice bowl irresistibly blanketed with uni and ikura (RM250) or request extra pieces of sushi (the otoro is RM55). 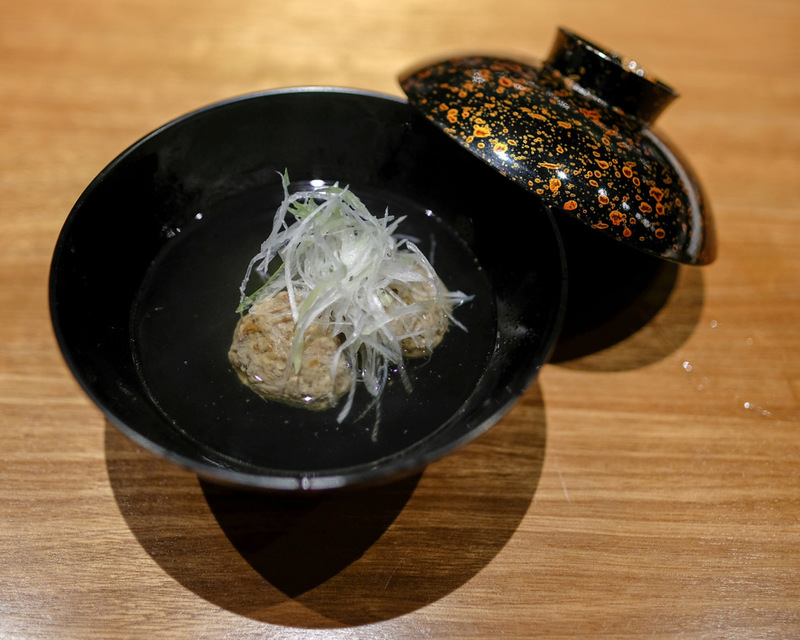 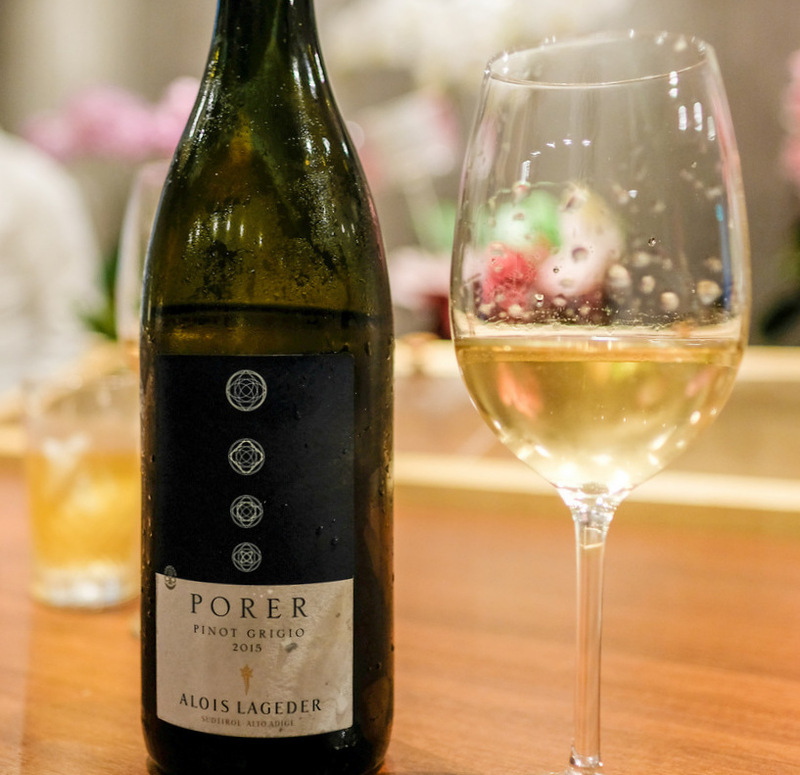 Hibiki's cheapest bottle of wine is a Pinot Grigio that clocks in at RM320, but it works well with the fare here. 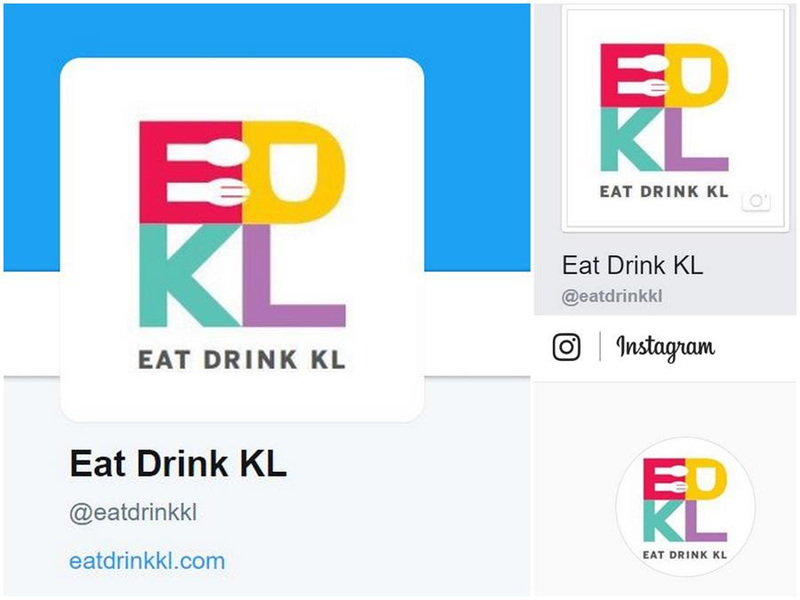 Lot B1-04(A), Basement 1 (inside Atlas Gourmet Market, near the wine bar), Shoppes at Four Seasons Place, Kuala Lumpur, Malaysia. 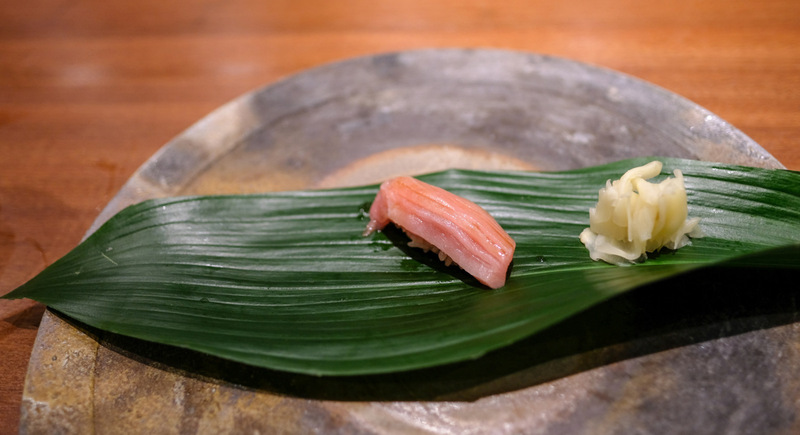 Very elegant fare. 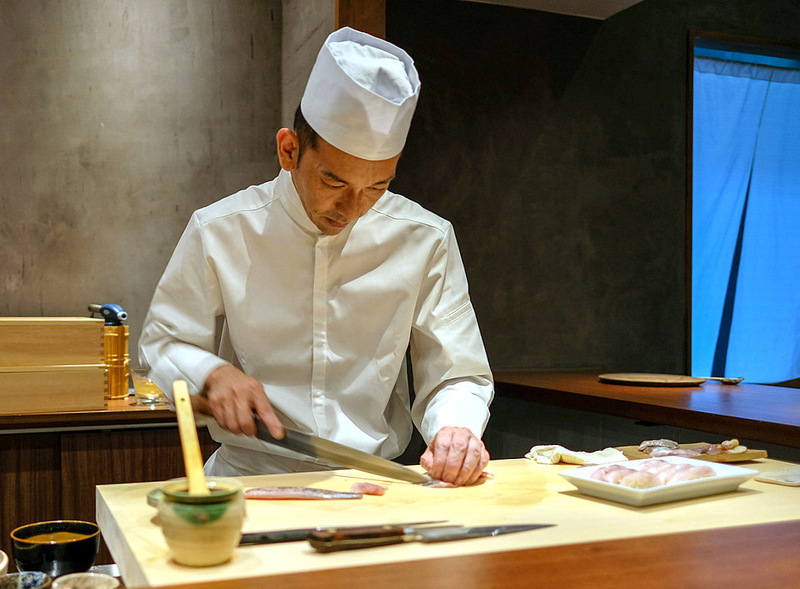 Kinda curious as to the use of those screwdriver ends of the chopsticks. 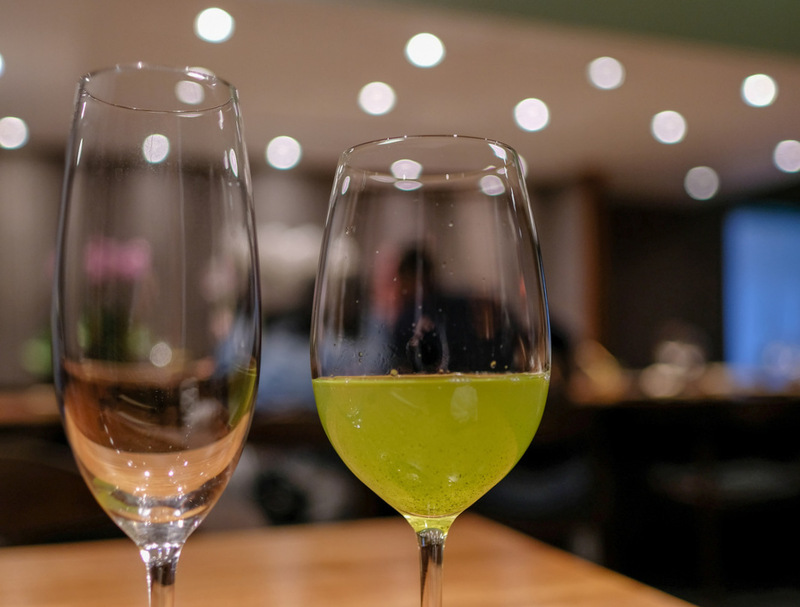 Never seen any like those before.